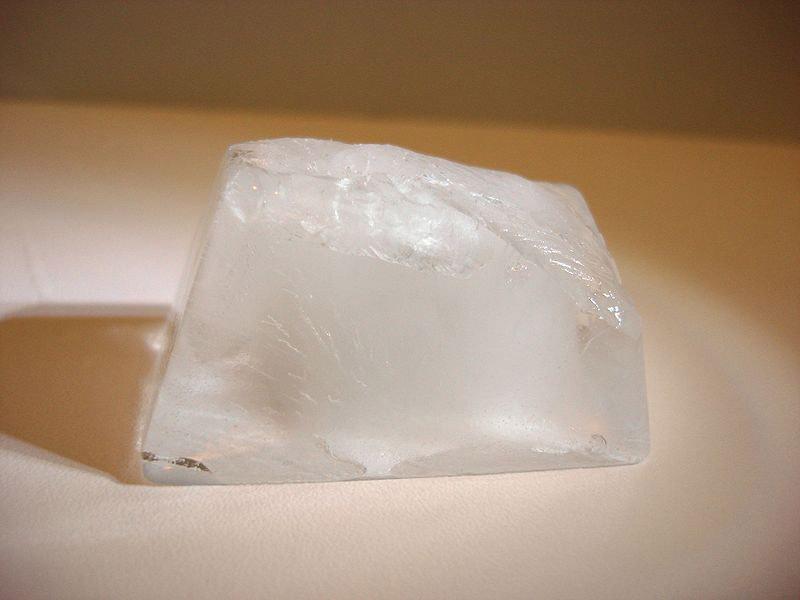 Today let’s examine the science behind the claim that you can lose weight by eating ice. The theory is this: eating ice will make the body burn up calories in order to maintain a constant body temperature. Seems reasonable, but let’s explore. The calorie is a unit of energy and is approximately equal to the amount of energy required to raise the temperature of one gram of water by one degree Celsius at standard atmospheric pressure. I say approximately because it varies slightly depending on the starting temperature of water and if contains any impurities or dissolved gasses. Even though the standard unit of energy in the SI system has been the joule since 1960, it has not caught on yet when talking about food energy (one calorie is about 4.2 J). So lets calculate how much ice you would have to eat in order to lose one kilogram. First we have to make a few assumptions: 1) The ice temperature is near 0° C. 2) The body will efficiently metabolize stored energy in order to melt the ice and raise its temperature to 37° C, the average body temperature for humans. 3) The actual mass of the ice consumed does not count towards our final weight. So for one gram of ice, the total energy needed to bring it to 37° C is 37 calories to raise its temperature plus another 80 calories to change it from solid ice to liquid water. This is known as its specific melting heat. Therefore, the total energy required is 117 calories. In order to lose one kilogram of body mass you have to reduce calorie intake by 7,700 Calories, so it looks like one would only have to eat 66 grams of ice, right? Well, there is one last detail. What we normally refer to as a calorie when talking about food is really a kilocalorie (1 kilocalorie = 1,000 calories, often written as 1 Calorie). So in actuality, instead of eating 66 grams of ice you would need to eat 66 kilograms of ice. Good luck!